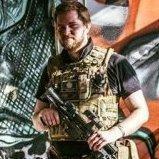 My name is Manuel i have 20 and i make airsoft since 7 years. I sorry if my english is not very good, but I make already an effort. Understand please. An other footage will be arrive. Your English is about 900 billion times better than my French, so who am I to judge? Haha. Welcome to the forums, Manuel. It's only because the french language it's one of the most difficult language to learn and maybye (i don't know really) because you don't learn french at school, in France we learn english at the age of 10. Sorry,but i don't really understand. Or in other words, trying and failing to converse in French and trying to hide that you messed it up? två_noll är ett svenskt badkar. --> two_zero is a Swedish bathtub.